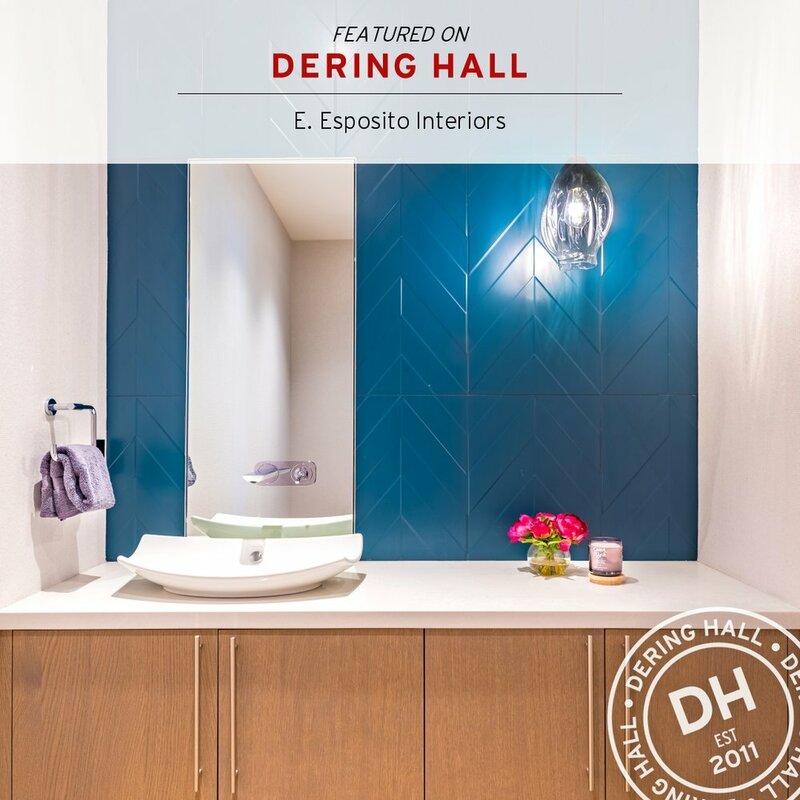 E. Esposito Interiors has been awarded the Interior Design Award from Tahoe Quarterly Magazine in their 2018 Mountain Home Awards Issue for the Dunsmuir Way project. ASID CA/NV Chapter (American Society of Interior Designers) and LVDC (Las Vegas Design Center) awarded E. Esposito Interiors with both the Best Multiple Residential Project of the Year and the Best Custom Furnishings/Product Design of the Year 2018 at the annual ANDYZ Awards held in Las Vegas at the Las Vegas Design Center during Summer Market. Both awards are for the Dunsmuir Way project for the whole home and the custom dining table designed by Owner and Principal Interior Designer Emily Esposito and built by Mike Nethersole and staff of MD Construction located in Truckee. 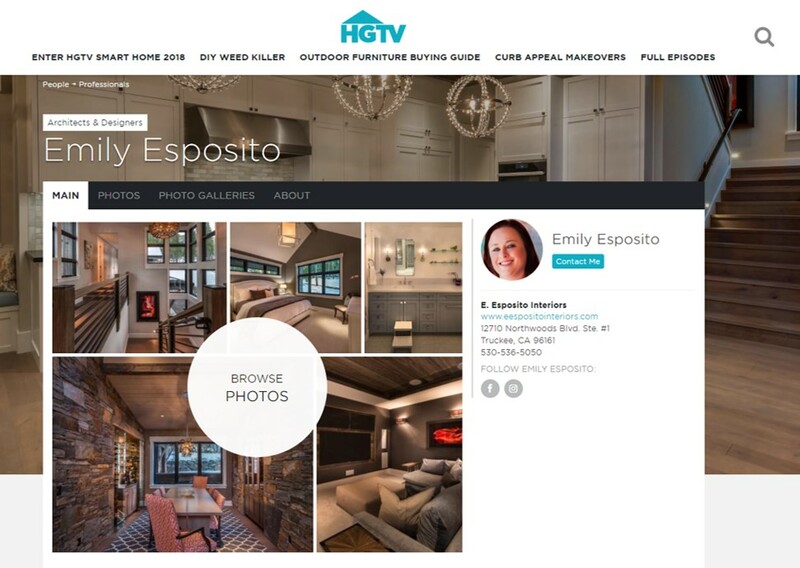 Emily Esposito was a nominee finalist in the 2018 HGTV Faces of Design Contest under the Countryside Escapes category for the Dunsmuir Way project. The Dunsmuir Way project was also a 2018 Residential Project of the Year Nominee by CATT (Contractor’s Association of Truckee Tahoe). EEI was awarded Best of Houzz 2019 for Client Satisfaction. 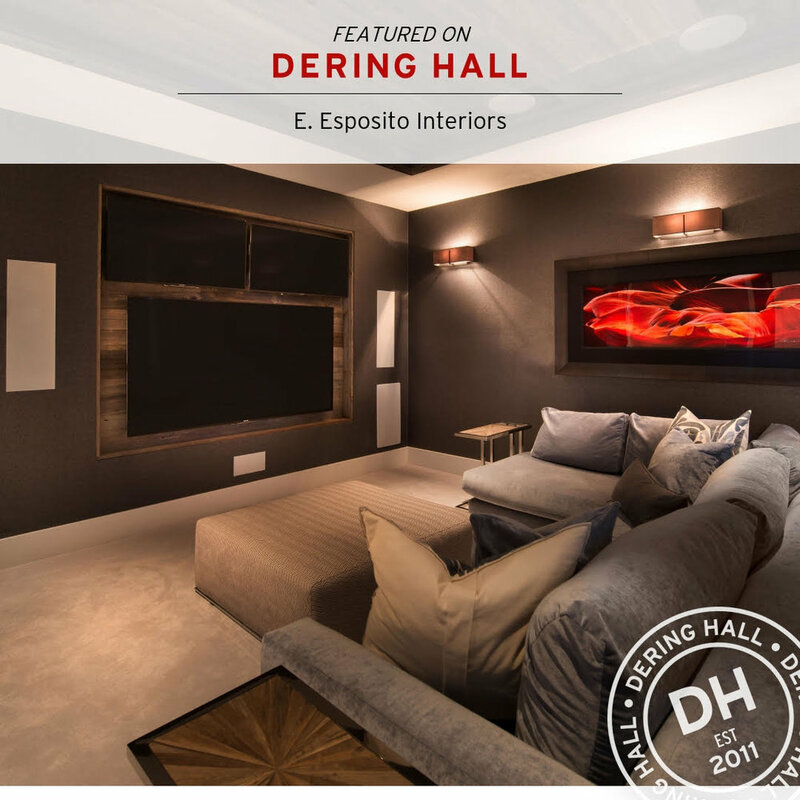 EEI has been featured by HGTV, Dering Hall, Elle Decor, Cottages & Gardens, Houzz, Martis Camp, Caesarstone US, Rohl Faucets, Native Trails, Hansgrohe US and Castel Luxe. E. Esposito Interiors work has been featured in magazines and through article contributions. 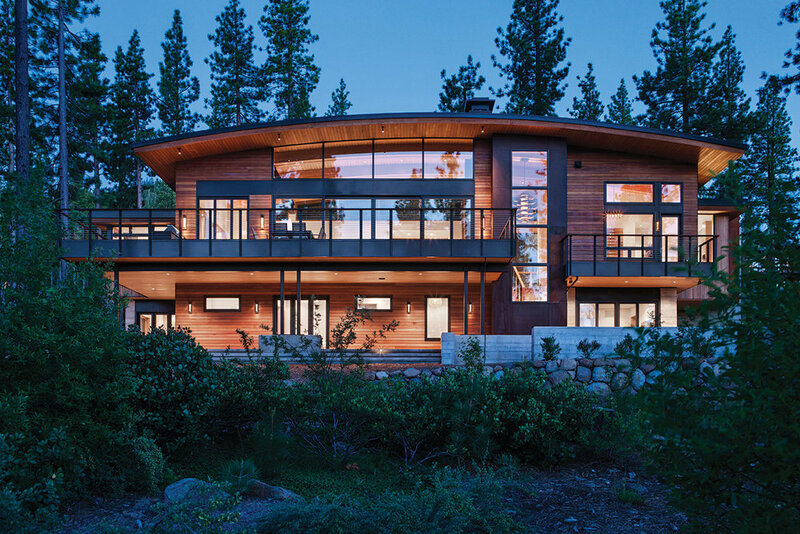 E. Esposito Interiors won the Interior Design award for the Dunsmuir Way project located in the prestigious gated community of Martis Camp in Truckee, California from Tahoe Quarterly Magazine. The article feature entitled Interior Divine can be viewed by clicking the link below. Tahoe Quarterly Magazine's Ski and Ride 2017 issue, Ahead of the Curve, features this stunning mountain modern home designed by Kelly and Stone Architects with interiors by Emily Esposito. Featured in Gorgeous Bedrooms with Wood Ceilings. E. Esposito Interiors provides some helpful tips on how to store the Tahoe Lifestyle. Tahoe is a year round playground and those that take full advantage of all it has to offer often have kayaks, paddle boards, seasonal tires and more. De-clutter and de-stress your life. 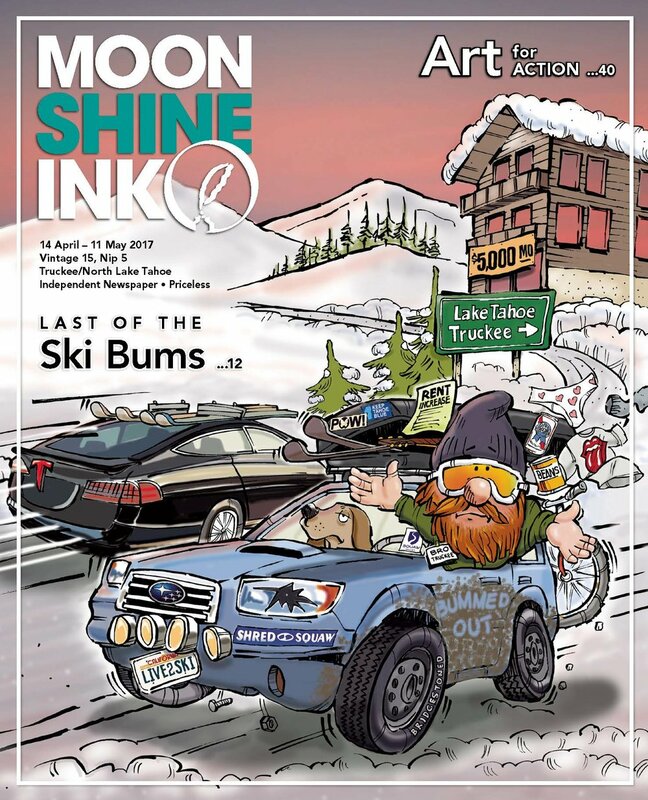 E. Esposito Interiors was featured in the Lake Tahoe Spotlight in the May/June 2018 Mountain Living issue. Featured in Tips for Creating a Sophisticated Media Room. E. Esposito Interiors suggests six ways to spruce up your rental or your home on a budget. Small inexpensive changes can make a space feel fresh and brand new. A little time and elbow grease may just do the trick. Featured in 35 Glamorous Bedroom Vanities.